We all know how drained our bodies can feel after an intense workout session. Your muscles are tired, and there’s a soreness developing that you’re sure to feel in the morning. Some people soak in an ice bath or relax in a cloud of steam to reduce swelling and tension in their muscles, but these methods don’t appeal to everyone. If you’re looking for a way to unwind after a strenuous workout, consider mixing these all-natural oils into your routine. Widely incorporated into the beauty community, lavender is especially popular at spas for its ability to relieve stress. Although its benefits extend beyond anxiety reduction—it has analgesic and anti-inflammatory properties as well, which makes lavender oils well suited to aid in muscle relaxation. Incorporation lavender into your nightly routine can help you get a good night’s rest, which is important for building a healthy mind and body. Known best for its soothing abilities, eucalyptus essential oil aids in your workout recovery for several reasons. It can reduce pain and swelling, which works wonders on patches of new and old muscle soreness. Eucalyptus promotes blood circulation, which can speed up and improve the muscle healing process. You can also look forward to a slight cooling sensation that calms and relaxes an aching body. As a member of the mint family, rosemary has been used medicinally for centuries. Most commonly it was used to relieve muscle aches and improve memory, which it’s still very popular for today. Rosemary oils can be massaged into a tender muscle area, but when ingested this herb can also build a healthier mind due to its neurological protection advantages. A somewhat underrepresented natural oil is cannabidiol, often abbreviated as CBD oil, which is extracted from cannabis plants. This natural compound has proven anti-inflammatory capabilities among other mental and physical advantages, that work to promote overall well- being. When applied topically, CBD helps decrease aching and tenderness associated with joint and muscle pain. It's an increasingly popular choice for those seeking natural relief for pain and anxiety. Essential oils that are infused with lemongrass have multiple advantages when it comes to skin and muscle health. Not only can you get healthy, vital skin by using this oil as natural toner, you can also alleviate tense and swollen muscles. No matter how you use lemongrass oils, you’ll feel rejuvenated with its strong citrus scent even after draining physical activity. Before you dive into the world of essential oils, it’s important to know how to use them to your advantage after an intense workout or sporting event. For starters, natural oils are primarily used for topical use or aromatherapy. You will find other methods of consumption, like lemongrass teas or CBD gummies, but massaging oils into your sore muscles will produce the fast, healing results like the ones described above. But, before you rub oil all over your body, you’ll need to mix essential oils with other carrier oils. 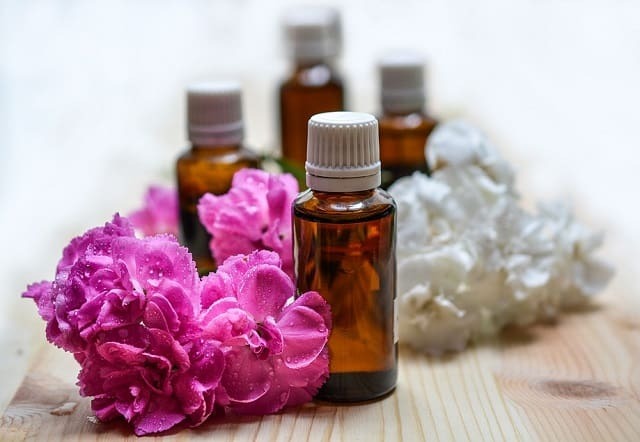 There are a wide range of options to choose from, including almond, jojoba, and coconut oils that work well when diluting the potency of strong essential oils. This is necessary when using naturally infused oils in order to see how your skin and body reacts to these ingredients. I hope you enjoyed this article about a beginner's guide to essential oils and natural oils for post-workout recovery to improve results. Interested in more articles about alternative health and healing?